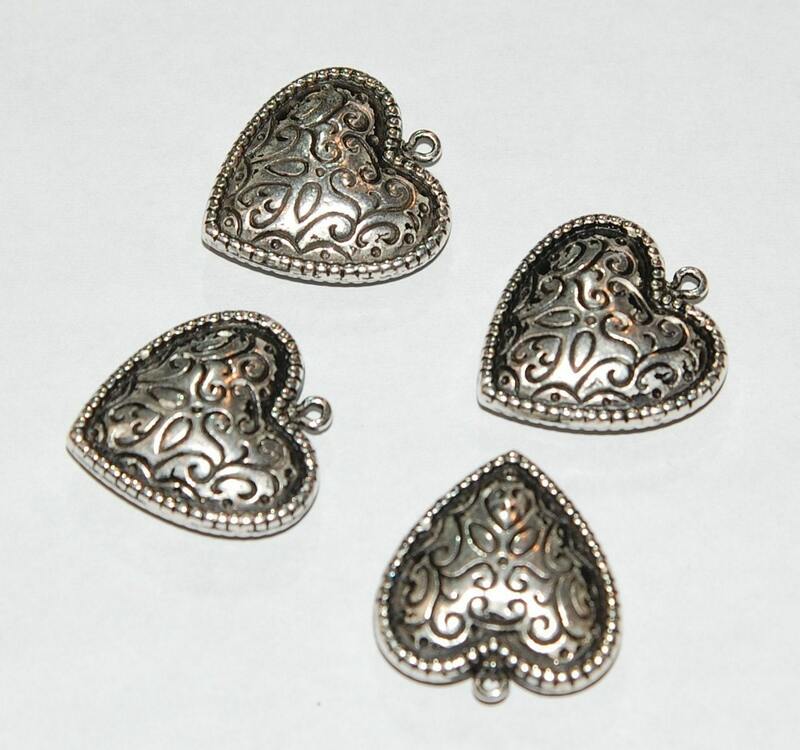 These are antique silver tone heart charms from the 1980's. 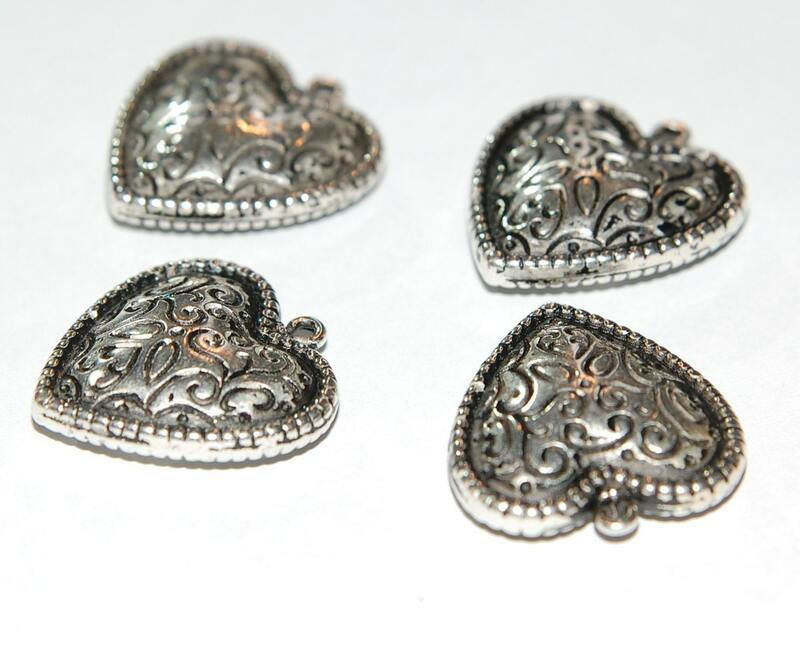 They are metalized plastic. They feature an all over scrolling design and have beaded edges. These measure 22mm X 20mm. You will receive 4 of these.